Saurabh Uboweja is a brand strategist, writer, columnist, public speaker, startup coach and entrepreneur from India. He is the Founder, CEO and Chief Brand Strategist of Brands of Desire, an international brand consultancy he setup in New Delhi, India in 2008. 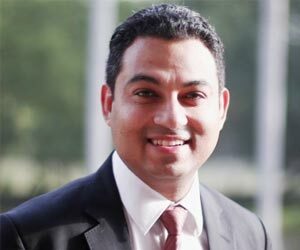 He is a co-founder and Director of CrediHealth, India's number 1 medical assistance company. He is one of the eight global founding members of the World Communication Forum Association, registered in Davos (Switzerland). Considered as one of Asia's leading brand strategists, he has worked with many top clients in Asia, Europe and USA. His area of expertise is brand strategy and healthcare branding with special focus on solving complex brand architectures, creating new brand value and strengthening brand image using a structured approach to branding. In 2016, Saurabh received the coveted Public Relations Council of India (PRCI) Chanakya Award for National Achievers 2016 under the category - Most Promising Young Entrepreneur of the Year. In 2015, he became the first Indian and only the third person in the world to receive the 'Idea of the Future Award' 2015 at the World Communication Forum in Davos.